This is a solid silver celtic inspired design. 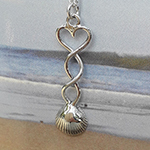 This celtic twist with heart at the top and solid silver cockle is a modern version of the traditional welsh lovespoon. 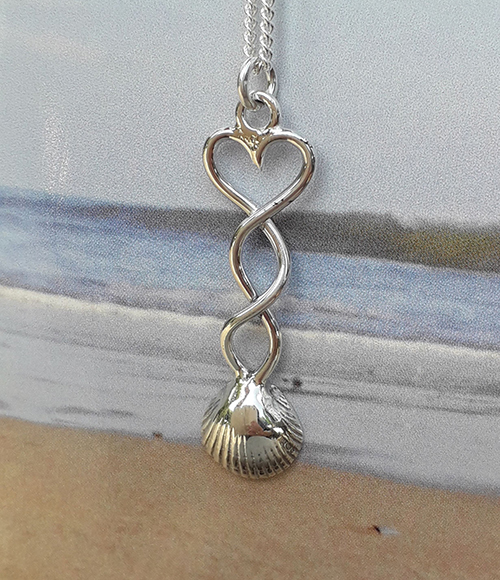 The cockle was found washed up on a Gower beach and Gower silversmith Pa-pa has made a mould of the shell and cast it in thick solid silver. Pendant measuring approx 1cm diameter 5cm long . Silver chains available in 16 or 18 inch lengths.